Trade tensions have U.S. manufacturers tapping a cheaper, local source for raw materials: the trash. Most aluminum used in the U.S. last year was made from recycled scrap, the WSJ’s Bob Tita writes, as Chinese restrictions on scrap imports and U.S. levies on aluminum resulted in a boon for U.S. recyclers. Companies in the U.S. that turn junked cars and beer cans into fresh aluminum are boosting operations and adding equipment in response to rising demand from manufacturers who can’t get the supplies they need from domestic smelters. And China’s more-stringent quality standards and tariffs on U.S. scrap exports have driven down global prices for scrap, driving up profits for U.S.-based recyclers who buy it and remelt it into aluminum. 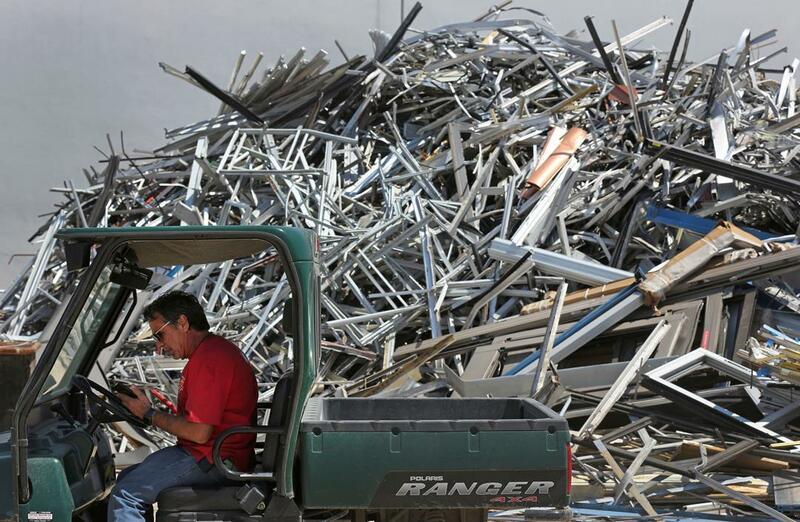 But U.S. companies that buy and sell cast-off mixed metals are hurting as the nationwide scrap heap grows and prices keep falling. European regulators are trying to stem an upheaval in steel supply chains triggered by U.S. trade policies. Imported steel volumes surged in Europe after the U.S. imposed 25% tariffs on the metal, the WSJ’s Emre Peker and Alistair MacDonald report, sending prices tumbling in other markets and triggering a big boost in shipments from China. The European Union is now imposing quotas on several steel products and will tax volumes exceeding those levels in an attempt to “preserve traditional trade flows.” Officials said the unusual restrictions are meant to be temporary. The EU’s actions demonstrate how the knock-on effects of a bilateral trade tussle between the world’s two largest economies can reshuffle supply chains half a world away. European steel companies applauded the safeguards while manufacturers who use the metal slammed the EU for hurting European industries. The partial U.S. government shutdown is reaching into global industrial supply chains. 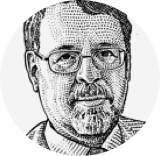 Some exporters in the defense and technology sectors can’t obtain required licenses to ship their goods abroad because the agencies that approve those licenses have scaled back staffing, the WSJ’s Samuel Rubenfeld writes. Licenses are required on a wide range of items considered to have national security implications, from industrial equipment to smartphone components. The failure to obtain export licenses can halt orders, slowing or in some cases stopping manufacturing supply chains that reach around the world. The shutdown has also hit businesses, small and large, working under contracts for federal agencies. The extended duration of this shutdown has forced many businesses to borrow money to pay employees, unsure of when they’ll be able to get back to work. Automotive factories are getting smarter. Car makers are upgrading equipment and operations with artificial intelligence, the WSJ’s Angus Loten reports, in an attempt to lower their costs in an industry susceptible to volatile short-term impacts from tariff policies, interest rates and boom-and-bust cycles. Led by the auto industry, manufacturers invested an estimated $2 billion in AI in 2018, and analysts expect that investment to grow this year. With the potential to increase productivity in manufacturing, the increased adoption of AI also foreshadows large-scale shifts in global supply chains designed to take advantage of lower labor costs in certain regions. Volkswagen AG is employing AI in demand-forecasting, assembly-line robots, self-driving transport systems and “cognitive ergonomics,” which frees up workers from repetitive tasks. All told, the company expects to generate nearly $400 million in savings from the technologies. — Jill Standish, head of Accenture’s Retail practice. Year over year decline in Cass Freight Index of shipments in December, the first annual decline in two years.